On Time Or It's Free! If we show up late, you don't owe us a dime! We are the only caterer in the South Denver & Winter Park areas that offers you an “On Time Or It’s Free Guarantee”. Whether you’d like to set up a sampling, need help planning your event or just have general catering questions, please feel free to call us at 303-768-0130. A hot breakfast buffet with biscuits and sausage gravy, scrambled eggs and bacon. An assortment of bagels and cream cheese, fresh baked muffins & a seasonal fruit platter. A hot breakfast buffet with scrambled eggs, bacon, sausage, home fries, biscuits. Hot sauce, butter, jelly and your choice of salsa or green chili. Includes coffee, cups, 1/2 & 1/2, sugar, Splenda, lids and stirs. Choice of Canned Iced Tea, Canned Soda or Bottled Water. A turkey, ham, Italian or vegetarian sandwich on french bread with lettuce, tomato, onion and provolone cheese with mayo and mustard, homemade cookie, lays potato chips and a napkin in a paper sack. A decorative lunch box with a signature sandwich, homemade cookie and choice of chips, dijon-vinaigrette coleslaw or Italian vinaigrette pasta salad (pasta is served with tomato, feta cheese and kalamata olives). Any one of or our fresh and delicious salads, with a homemade cookie and choice of chips, Dijon-vinaigrette coleslaw or Italian vinaigrette pasta salad. *Additional charges for premium salads. Choose any assortment of turkey, ham, Italian or vegetarian sandwiches beautifully arranged on an 18" platter and cut into 1/3's. Feeds 8-12 people. Your choice of any of our signature sandwiches beautifully arranged on an 18” platter and cut into 1/3’s. Feeds 8-12 people. A beautifully arranged assortment of 4 signature sandwiches or wraps, diced cheeses, salami, pepperoni and fruit. This platter is sure to impress even the most important executives at your company. Feeds 6-8 people. Includes: Assorted Sandwiches (Pick 4), Pick 2 Sides, Paper Products. A generous amount of corn tortilla chips, medium salsa and fresh made guacamole. This makes a great appetizer for any lunch meeting or dinner buffet. Italian Vinaigrette Pasta salad with tomato, feta cheese and kalamata olives. Garnished with tomato slices and parsley. A great addition to any sandwich platter or lunch buffet. Feeds 10. An 80 ounce bowl of our Dijon-Vinaigrette Coleslaw. Our house dijon-vinaigrette dressing is mayo free and makes our coleslaw taste light and tangy. A great addition to any lunch or dinner buffet. Feeds 10. A large bowl of any of our fresh and delicious tossed salads. Feeds 8-10 People. An assortment of our fresh baked cookies, Killer Carmelita’s or legendary brownies beautifully displayed on a platter. Rudi’s Dinners and Hot Entrees will make any event you’re hosting a hit! These items are perfect for large groups, meetings, holiday parties and family get togethers. Ground beef or all-natural chicken tacos served with lettuce, tomato, onions, cheese, sour cream, salsa and flour tortillas. Served with brown rice and refried black beans. Choice of all-natural chicken or strip steak served with lettuce, tomato, shredded cheese, pico de gallo, sour cream and guacamole. Includes brown rice and refried black beans. Loaded baked potato bar includes fresh baked potatoes, sour cream, butter, bacon bits, shredded cheese and salt & pepper. A delicious 6 oz. all-natural chicken breast sauteed with capers and lemon butter over pasta, served with tossed salad and a fresh baked bread. Choose any three soups or chili’s from our menu. Price includes a 16 oz bowl of soup or chili per guest, fresh baked bread, crackers, butter and warmer rental. Assorted seasonal fruit beautifully arranged on an 18” platter. Assorted vegetables beautifully arranged on an 18” platter with your choice of ranch dressing or homemade hummus. A Rudi’s Deli gift card makes the perfect gift, whether it’s for a birthday, snacks or catering. 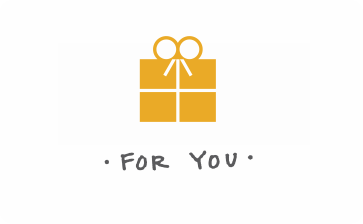 Best of all, you can order online and send a gift card instantly to anyone in any amount you choose.